New York Times bestselling co-authors Amie Kaufman and Jay Kristoff feast upon your tears and relish your screams. 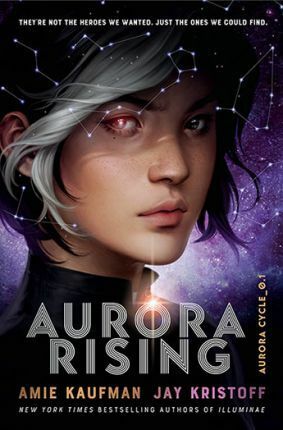 In addition to their internationally bestselling The Illuminae Files, Amie is the co-author (with Meagan Spooner) of the bestselling Starbound trilogy and the Unearthed duology. She is also the author of Ice Wolves and Scorch Dragons, in the Elementals trilogy. Jay is the author of the award-winning Lotus War trilogy and the Nevernight Chronicles, as well as Lifel1k3, the first in the Lifel1k3 trilogy. They live with their respective spouses in Melbourne, Australia. Find Amie and Jay at amiekaufman.com and jaykristoff.com.